We are publishing the most recent soil surface density map of Namie created by a citizen’s measurement group named the “Fukuichi Area Environmental Radiation Monitoring Project“(http://www.f1-monitoring-project.jp/index.html). Their members are mainly from Tokyo metropolitan region. Their map is simply terrifying. This is far much higher level of radio-contamination than in the Radiation Control Zone. Any area becomes designated as such when the total effective dose due to external radiation and that due to radioactive substances in the air is likely to exceed 1.3mSv per quarter – over a period of three months, or when the surface density is likely to exceed 40,000Bq/m2. In the Radiation Control Zone, it is prohibited to drink, eat or stay overnight. Even adults, including nuclear workers, are not allowed to stay more than 10 hours. To leave the zone, one has to go through a strict screening. Namie’s radio contamination is far over these figures! The average soil contamination density of the total of 314 points where the soil was collected and measured is 858,143Bq/m². The maximum value was 6,780,000Bq/m², and the minimum was only 31,400Bq/m²! And people, including infants and pregnant women, are told to go back to these areas to live, because it is supposed to be safe. Basically the Japanese government does not recognize the fundamental human right to live in a healthy environment. The population is facing a tough future, for the compensation will be cut off soon, and the housing aid by the central government finishes at the same time. As for the auto-evacuees who fled from areas which are not classified as evacuation zones but are nevertheless radio-contaminated, they had only very little compensation and the housing aid was cut off at the end of March 2017. Continuing to live as nuclear refugees is becoming more and more difficult. We consider that this is a violation of basic environmental human rights. Let us not forget to thank the members and volunteers of the Fukuichi Area Environmental Radiation Monitoring Project team. They are mostly elderly people over 60 years old. 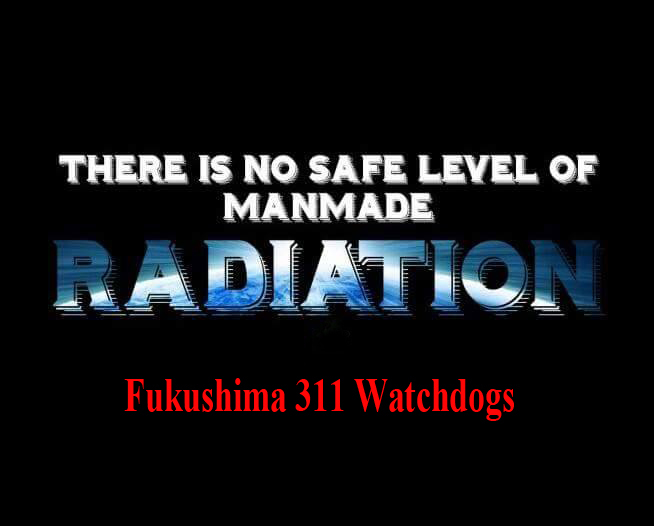 However, that doesn’t mean that they can be exposed to radiation. We thank them and pray for their health.